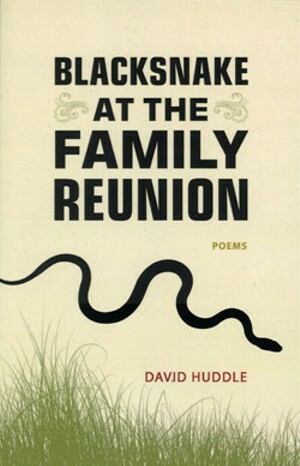 The two most recent collections by Vermont poets David Huddle and Neil Shepard — Blacksnake at the Family Reunion and Vermont Exit Ramps, respectively — could hardly differ more in focus, yet something binds them together. One might say it’s their mutual desire to take the reader on a journey of sorts. Or maybe it’s their mutual appreciation for formal constraint. Incidentally, it’s no surprise the two volumes would have something in common— Huddle was Shepard’s first creative writing teacher more than 40 years ago at the University of Vermont. Still, at this point, one could hardly deem them master and apprentice. Both poets showcase a mature — even occasionally virtuosic — ability in their collections. Huddle’s Blacksnake at the Family Reunion is a mélange of people poems, centering mostly on family, childhood and difficult intimate encounters. The book begins with its title poem, opposite a picture of the moment that inspired it. We see a teenage girl holding a snake, staring directly into the camera, as three other family members stand in the background. “Shy visitor, you’ve / empowered Bess who / so frightened her mom / she went up to her room —” the poem begins. The speaker surveys the photograph, as if zooming in on memory from afar: “That’s Tara up / there on the step — / she & my nephew / divorced years / back & she fell off / the planet as far / as our family’s / concerned…” As the observer’s eyes pan around the image, the tone suggests a fog lifting as one stares at a found photograph — an apt beginning for what is largely a journey into the past. That journey tends toward a confessional investigation of familiarity, relationships and early childhood’s impact on adulthood. The vast majority of the poems deal with a feminine presence, be it the speaker’s mother, his high school girlfriend, his physician or his best friend’s wife. Consistently, we encounter the tension of difficult intimacy, silence in the midst of words held back. Among the more poignant poems in the collection is “What the Stone Says,” in which the speaker meditates on the life of his older sister, who died the same day she was born: “BORN & DIED says / her small stone, then / a single date / in November… / … / The ampersand / tells the whole truth / and nothing but, / so help me God, / whose divine shrug / is expressed so / eloquently / by that grave mark.” Here and elsewhere, the terse simplicity of Huddle’s language largely bypasses sentimentality. die. No matter they can’t read her gestures. They want what I want. To listen anyway. Rendering this love story in sonnets, Huddle harks back to Sidney, Shakespeare and Petrarch, and the student of poetry will have fun scrutinizing and analyzing those echoes. But that’s not to say this analysis is required. Ultimately, the sonnet is a distinctive and rewarding form — with its necessary self-argument, its boiled-down meditation — and, in Huddle’s language, anyone can access its fruits. While Huddle deserves credit for creating in “The Husband’s Tale” a unique, modern love story in accessible sonnets, his formal calculation occasionally overshadows the “meat” of the poems. They are, for example, composed entirely of 10-syllable lines, and sometimes Huddle sacrifices fluidity to maintain this formal standard. In the eighth sonnet, for instance, the speaker remembers a time when, tipsy and having fun with his wife, he got too rough, “hip-checked her across / the kitchen and broke her wrist.” He goes on to say that “…What had seemed / only giddy pleasure turned in that instant / to a drunken husband (me) abusing / his disadvantaged wife (Ruth Ann), waking / their sleeping kids…” At this point, when the protagonists of the past seven sonnets have been the speaker and his wife, he hardly needs to parenthetically clarify his actors. Does Huddle add these disruptions simply to keep the decasyllabic lines in check? Also, Huddle’s colloquial tone, though generally a virtue, can occasionally distract (“It was just so eerie!”). But these are such minor flaws. Blacksnake at the Family Reunion overwhelmingly succeeds in its journey. A deceptively simple, slithering and fluid meditation, it gathers emotional momentum as it proceeds and deserves to be read from beginning to end. Apparently — after three years in the making — Shepard deemed the poems more than simple throwaways. It’s an interesting enough proposition — even if, at first blush, its impulse seems a bit feigned and overthought. After all, these are little patches of oft-overlooked land: Why not explore? Shepard journeys from I-89’s Stowe/Waterbury exit south to I-91’s Brattleboro exit, stopping for poetic reflection at each one on the way. Twenty-one of the 25 poems bear the name of an exit and contain a time stamp; reading the book through, one can mentally re-create the on-again-off-again highway excursion. their sweat drips into hot tar. divorces from long days laying road. Proving wrong any reader who thought these poems would bore by virtue of their subject matter, Shepard opens with a subtle, rhythmic eloquence. His absolute command of language draws readers in, making them suddenly, surprisingly intrigued by the (perhaps familiar) Stowe/Waterbury exit ramp. Scattering this poem and the rest with geographically appropriate historical allusions, anagrams of town names and quotes from signs, Shepard shows his awareness of place and of how one territory can act as a setting for so many different events. In their historical imagery, linguistic cleverness and poetic grace, these poems rarely disappoint. This panoramic “postpastoral” collection will intrigue the Vermont poetry connoisseur as it begs us to pay attention to even the smallest details of the least-acknowledged patches of land. Still, reading Vermont Exit Ramps, it’s hard to shake the feeling that this is all just a drawn-out exercise. Shepard’s most successful poems here break from describing the exits themselves and explore new territory between the strapped-down reveries. “Turn in Guilford,” which opens with the explanation “No exit, here — just a recurring curve of memory,” takes a refreshingly personal tone. Even though the subject of the poem is a gruesome car accident, it’s nice to be unbound, for a moment, from Shepard’s schema. To Shepard’s credit, the repetition presumably mirrors the experience of frequently entering and exiting the interstate. But, though many of these poems are individually remarkable, that trip is not one most would volunteer to take. Both of these books drive us somewhere: Shepard reflects on the stops; Huddle, on the road. Both authors convince us to join them on their journey. 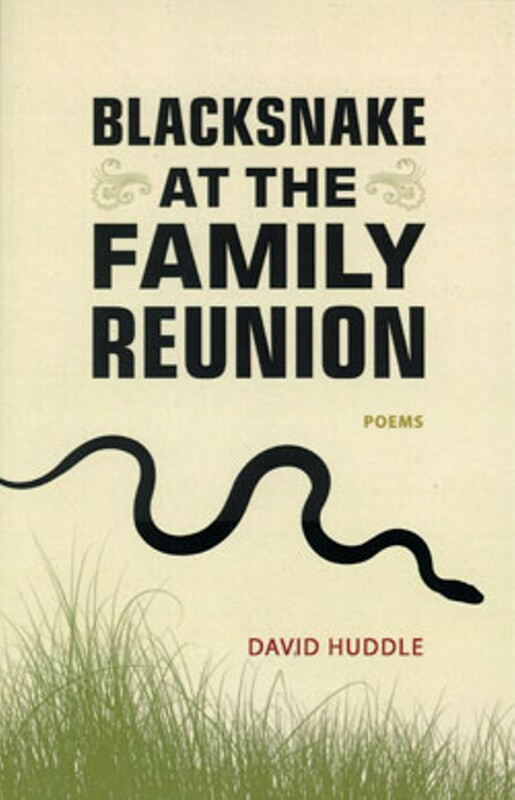 "Blacksnake at the Family Reunion" by David Huddle, Louisiana State University Press, 72 pages. $17.95. 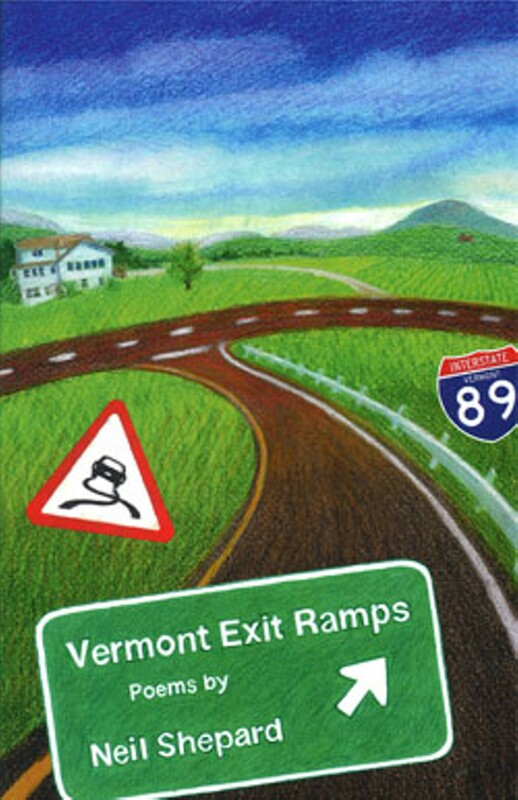 "Vermont Exit Ramps" by Neil Shepard, Big Table Publishing Company, 50 pages. $12. Shepard will read from his work on April 9 at 7 p.m. at Bear Pond Books in Montpelier; and on April 10 at 7 p.m. at Norman Williams Public Library in Woodstock.